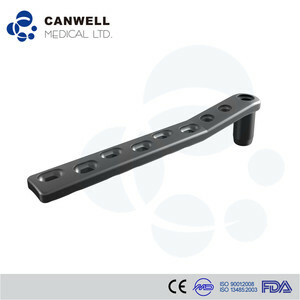 Orthopedic Dynamic Hip osstem Implant for proximal femur, dhs dcs instrument set Canwell Medical, a medical device company founded in 1994, is now one of the largest designers, manufacturers, and suppliers of orthopaedic implants and instruments in China. 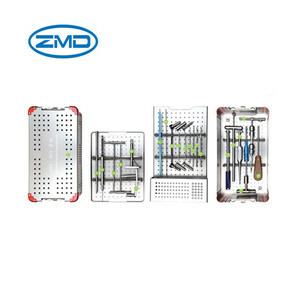 Our product lines include traumatology, spinal fixation system and surgical instrument, covering products such as femoral nail,titanium plates and screws,pedical screw with rods, PEEK cage, balloon kyphoplasty for spine fracture and other instrument set. We have established a complete Quality Assurance System to continuously fulfill the requirements according to ISO9001, 13485, QSR820 and CE, ranging from material procurement to design development and automated production processes. 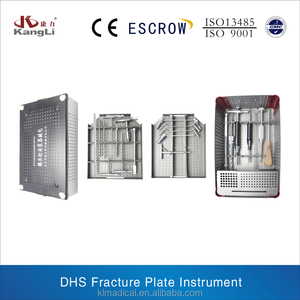 DHS/DCS Instrument Set Double Medical is a leading company in China's orthopedic industry. With its six subsidies, Double Medical offers service, technology, and device in the area of trauma, spine, joint, would management and general surgery. Double Medical has high standards from product innovation to reliability testing and from raw material acceptance to final shipping. Suzhou kangli obtained the certifications of Conformite Europeene (CE), ISO900:2008, ISO13485:2003 and GMP. Logistics : 1.Q:Where is your factory located9 A:Our factory is located in Zhangjiagang City, Jiangsu Province, China. Suzhou kangli obtained the certifications of Conformite Europeene (CE), ISO900:2008, ISO13485:2003 and GMP. 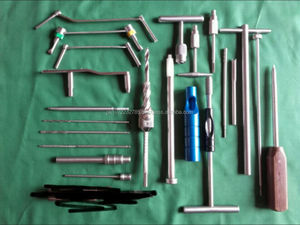 Orthopedic Dynamic Hip osstem Implant for proximal femur, dhs dcs instrument set Related Products Canwell Medical, a medical device company founded in 1994, is now one of the largest designers, manufacturers, and suppliers of orthopaedic implants and instruments in China. 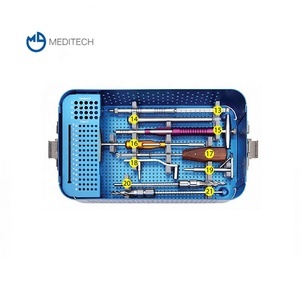 Our product lines include traumatology, spinal fixation system and surgical instrument, covering products such as femoral nail,titanium plates and screws,pedical screw with rods, PEEK cage, balloon kyphoplasty for spine fracture and other instrument set. We have established a complete Quality Assurance System to continuously fulfill the requirements according to ISO9001, 13485, QSR820 and CE, ranging from material procurement to design development and automated production processes. Zhangjiagang Qingmao Trading Co., Ltd.
Q: Regional Distribution9 A: Yes we are looking for and welcome distribution. Depending on order quantity, product type, and other order factors and requirements. Q: Samples available9 Free or extra 9 A: We can accept sample order. 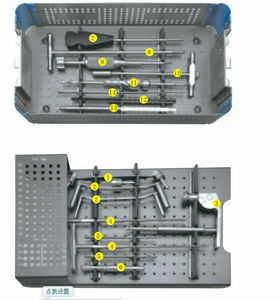 Suzhou AND Science & Technology Development Corp.
Alibaba.com offers 122 dhs dcs instrument set products. About 44% of these are obstetrics & gynecology equipments, 25% are implants & interventional materials, and 11% are the basis of surgical instruments. A wide variety of dhs dcs instrument set options are available to you, such as free samples. 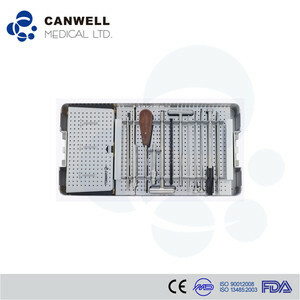 There are 120 dhs dcs instrument set suppliers, mainly located in Asia. The top supplying countries are China (Mainland), Pakistan, and India, which supply 63%, 26%, and 8% of dhs dcs instrument set respectively. 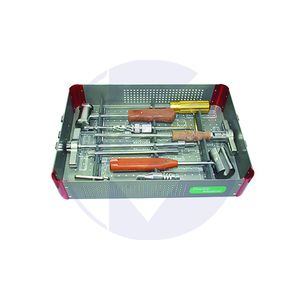 Dhs dcs instrument set products are most popular in Domestic Market, Mid East, and South America. You can ensure product safety by selecting from certified suppliers, including 55 with ISO13485, 39 with Other, and 34 with ISO9001 certification.